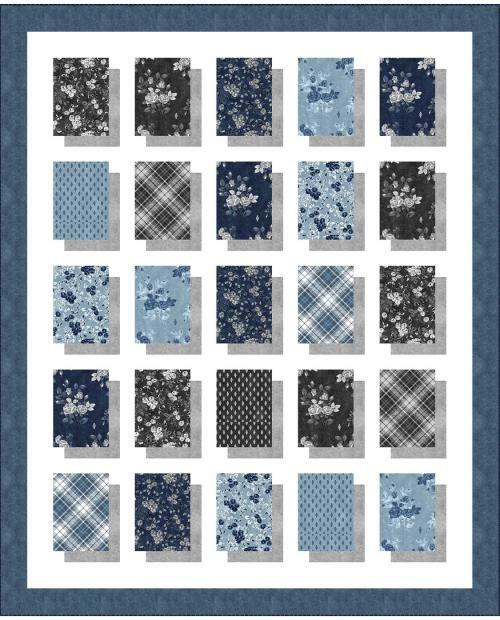 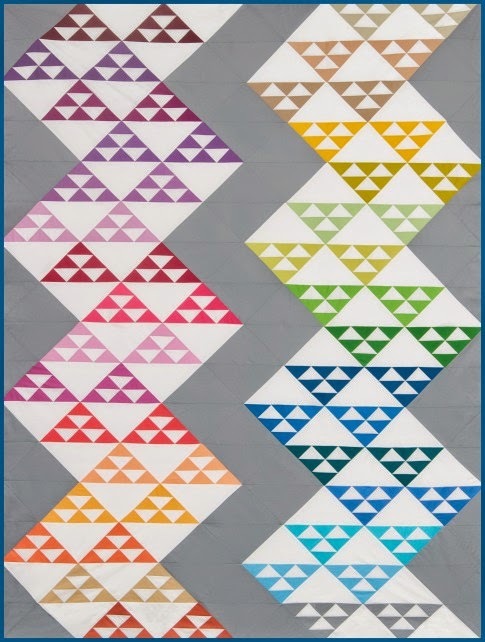 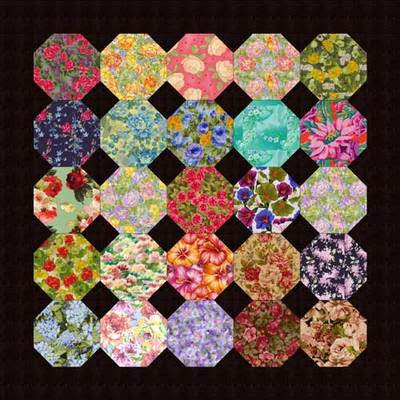 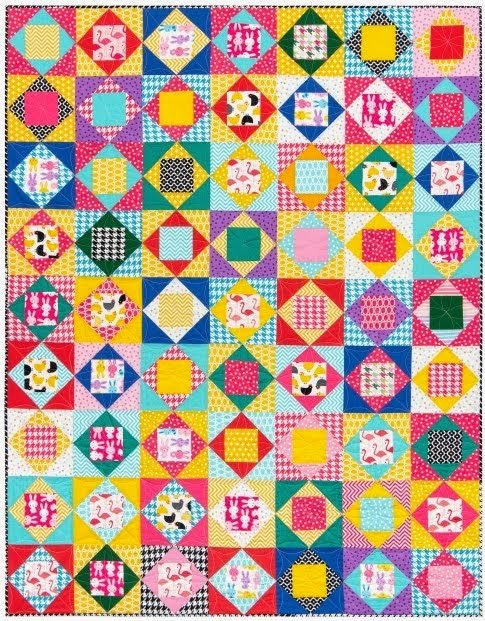 The snowball pattern is one of the oldest and best-known of all Amish quilt blocks. 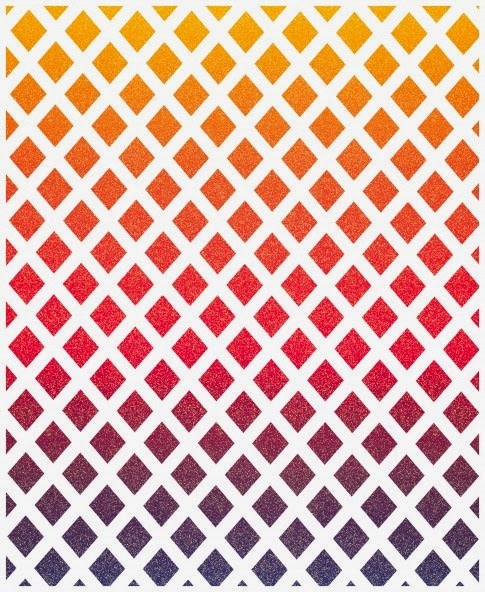 It is another pattern that fools the eye by creating an optical illusion. 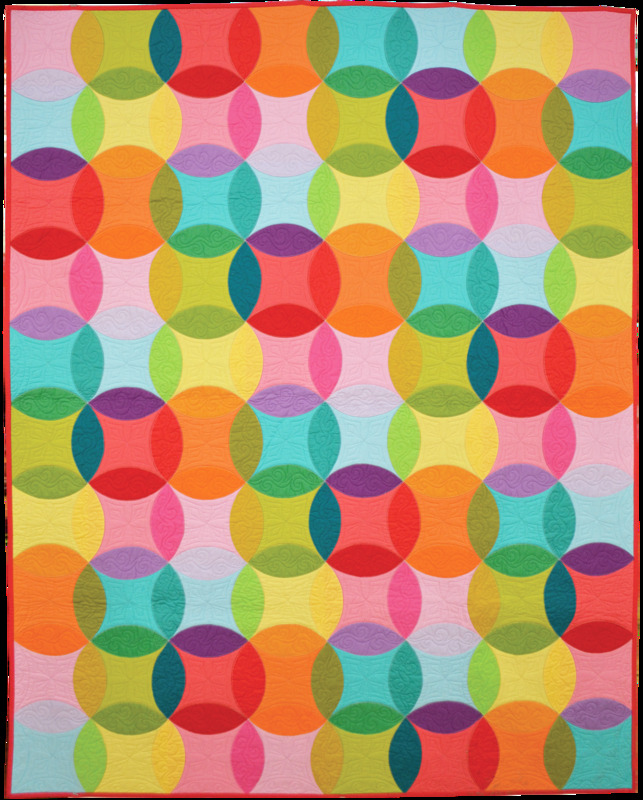 From a distance, a snowball block looks like a round circle, but it is actually an octagon, an eight-sided figure. 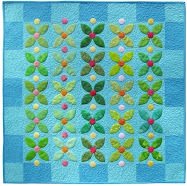 Snowballs are easily formed by taking a square of cloth and sewing a triangle across each of the 4 corners. 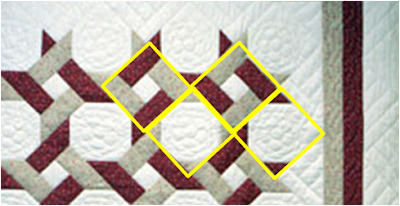 The triangles turn a 4-sided square into an 8-sided octagon. 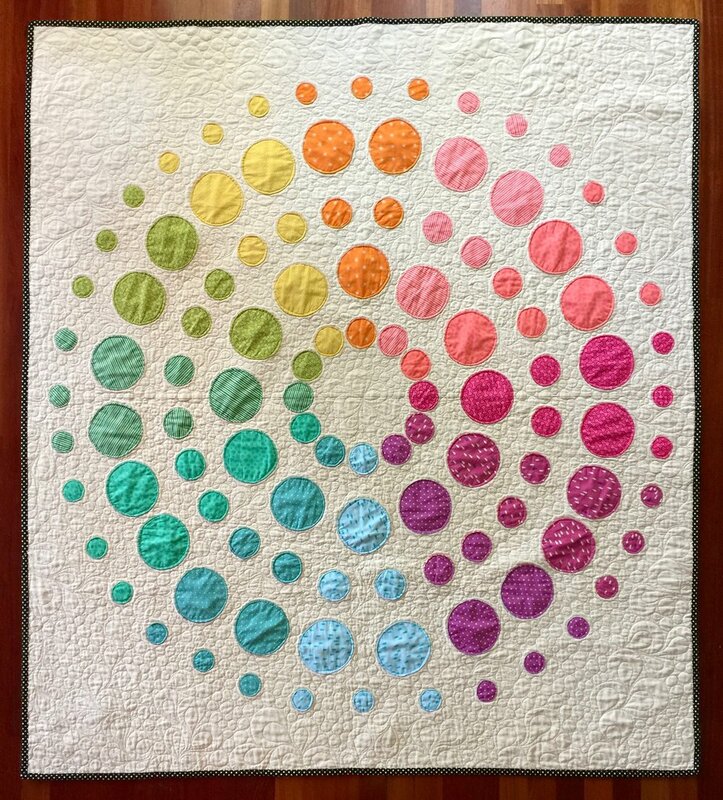 We associate the snowball with the cold days of winter, but snowball quilts can be created in endless ways to represent all the seasons. 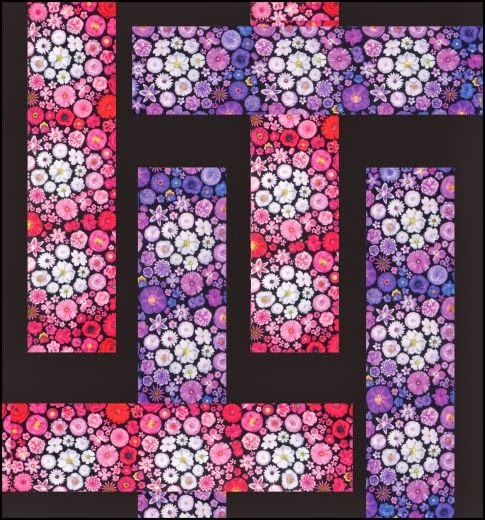 Janet Wickell's springtime snowball quilt uses Asian-themed chrysanthemums, large floral prints, hibiscus and cherry tree blossoms to display the delicate greens, pinks, and whites of early spring. 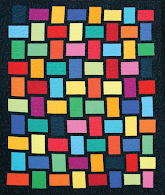 The black background helps to display these fragile colors and make them "pop". 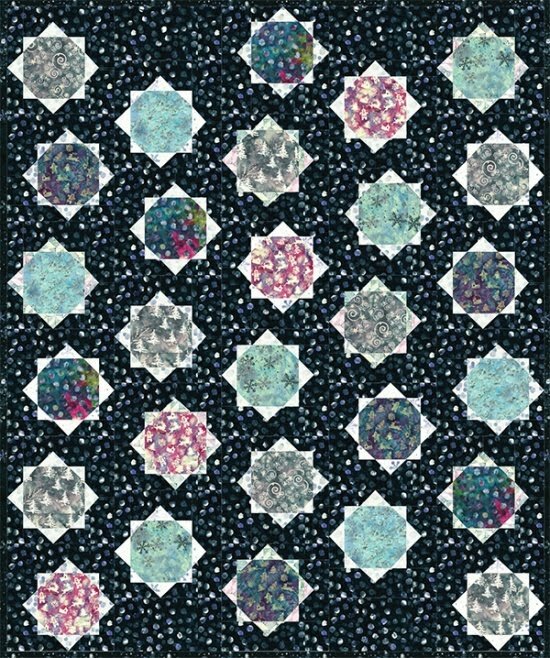 In the quilt above, Martha Dellasega Gray has hand-quilted an exquisite snowball which brings to mind the light and lacy colors of summer. 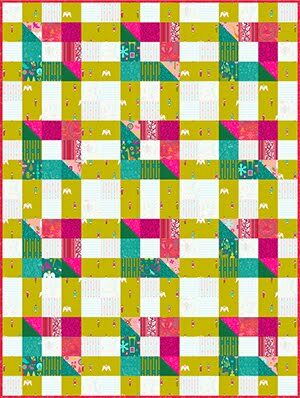 The calico prints remind us of raspberry sherbet, the soft blue water of a mountain lake, and the lavender wildflowers of an alpine meadow. 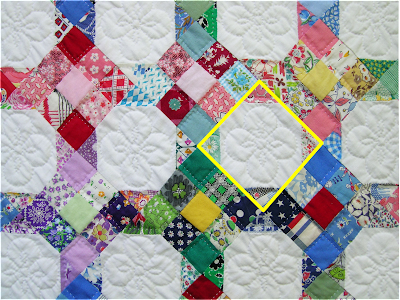 She has taken the snowball block and rotated it "on point" (see yellow highlight) so that the triangles across the corners blend in with the with nine-patch block which separates the snowballs. 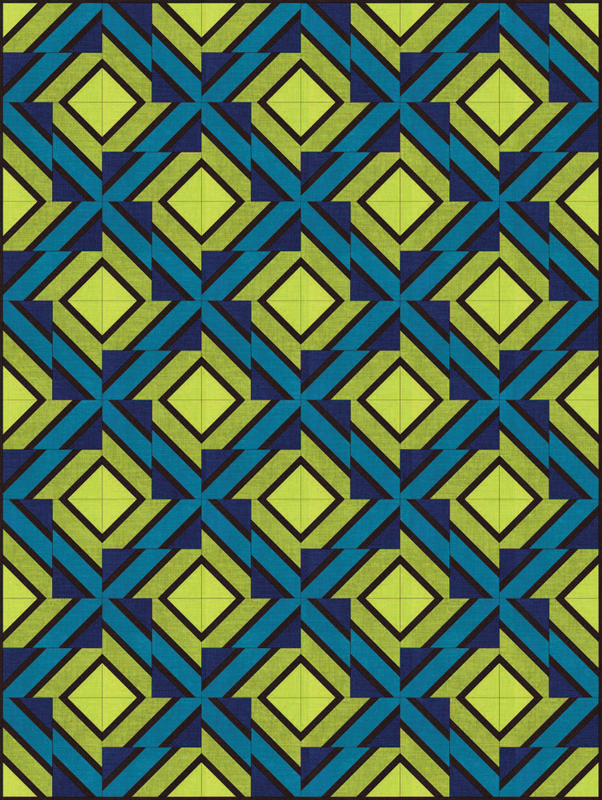 Because the snowball itself is white, it recedes into the background, and the nine patch block pops out into the foreground. 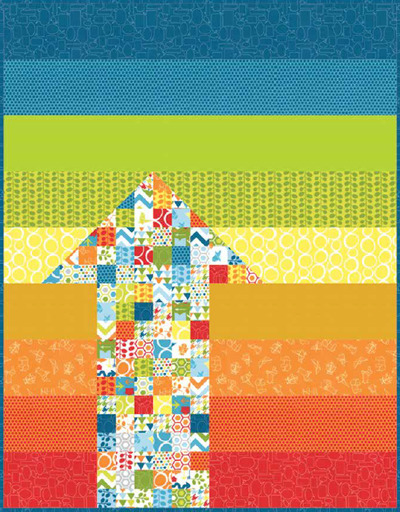 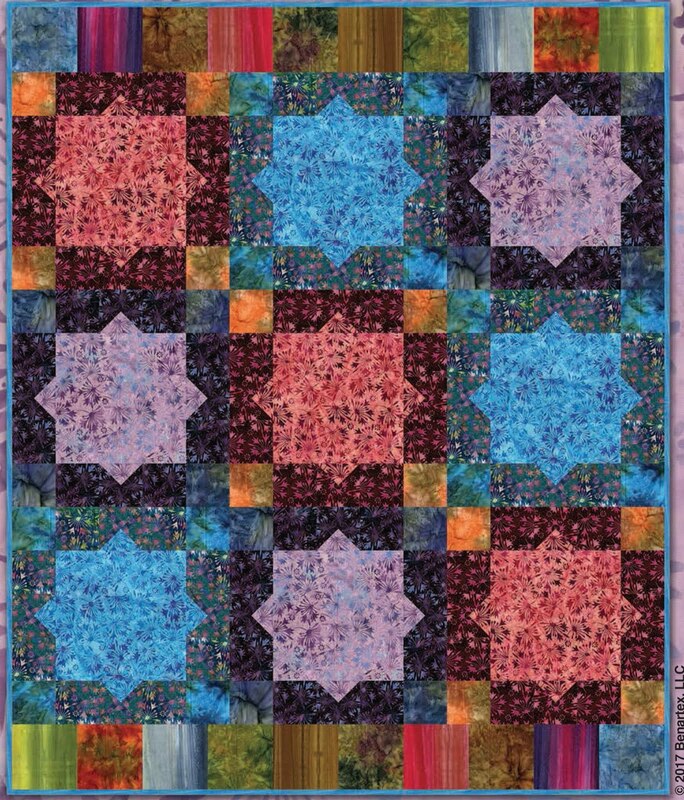 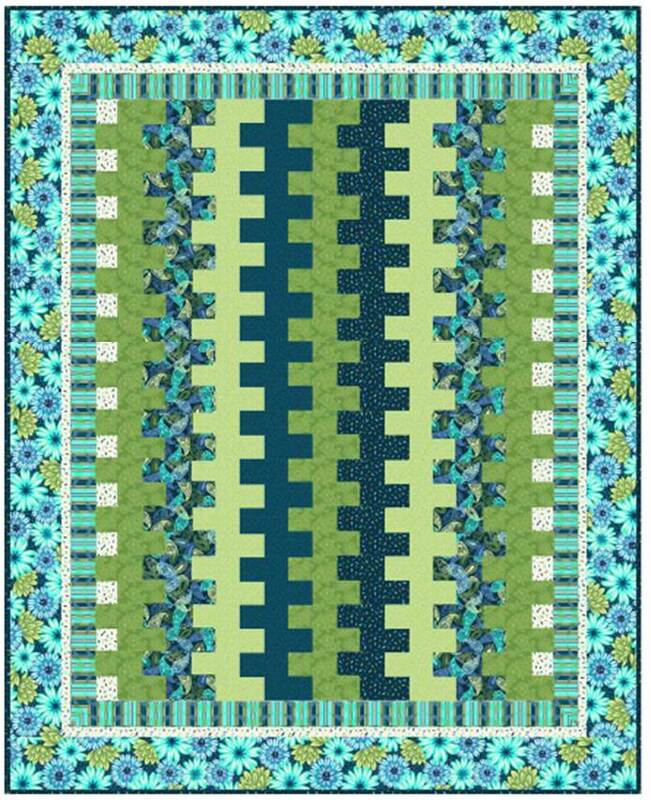 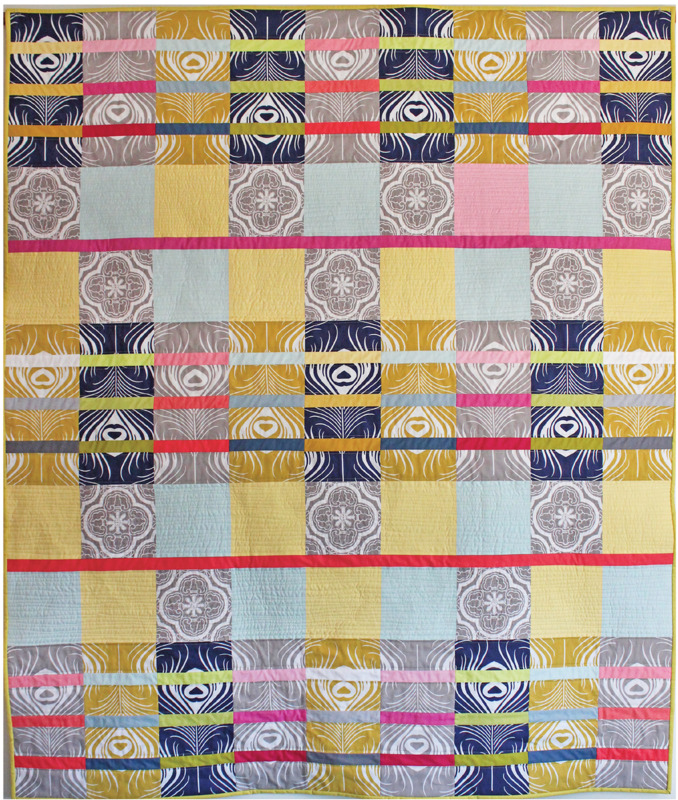 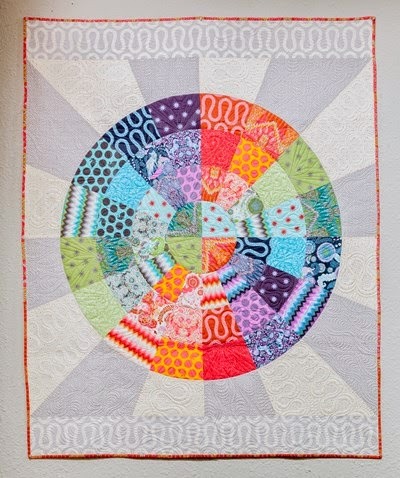 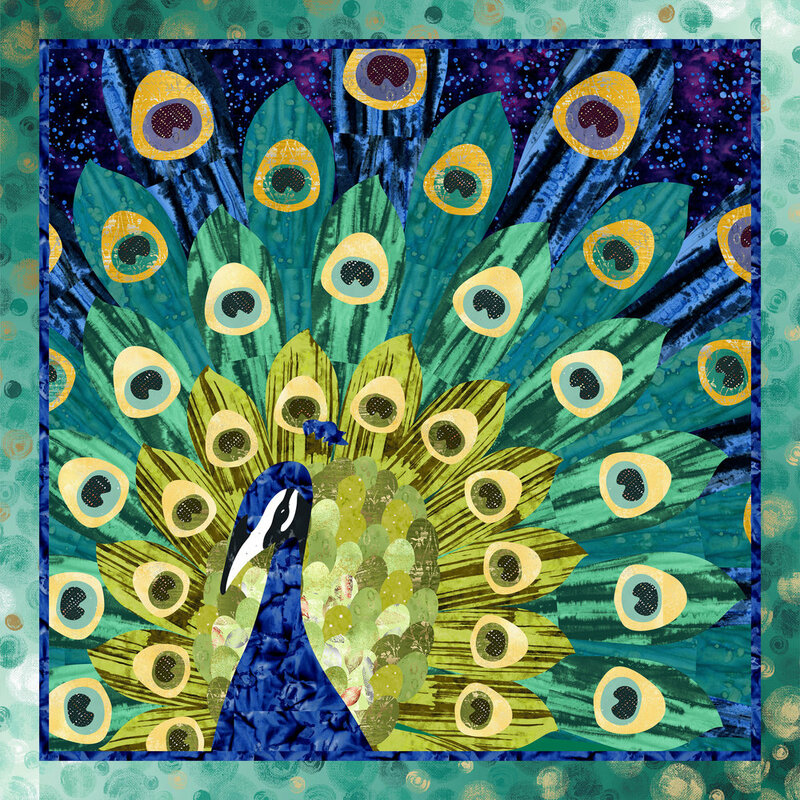 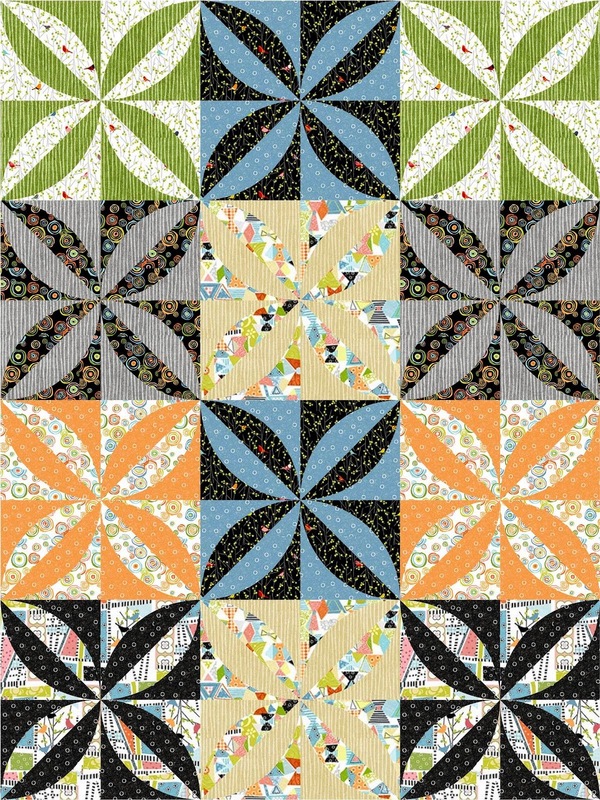 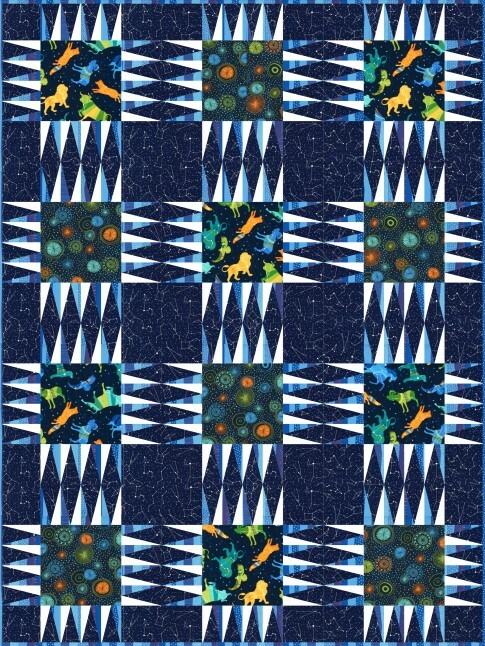 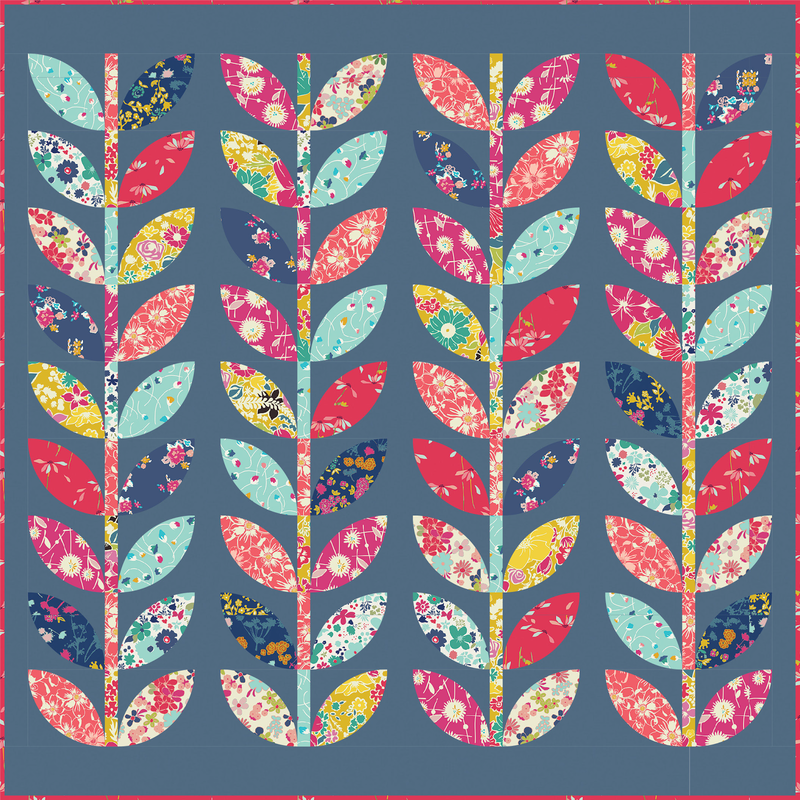 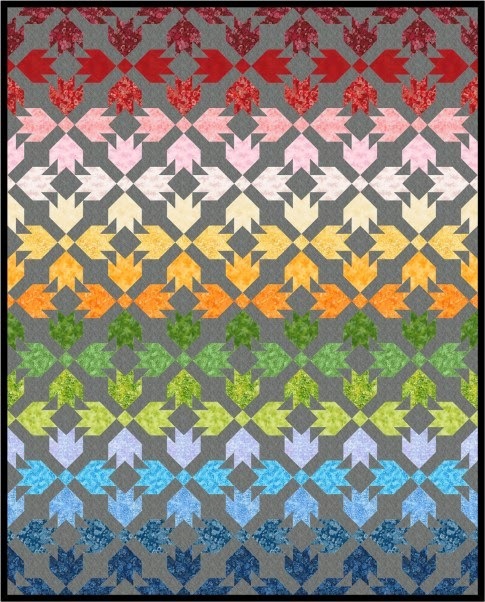 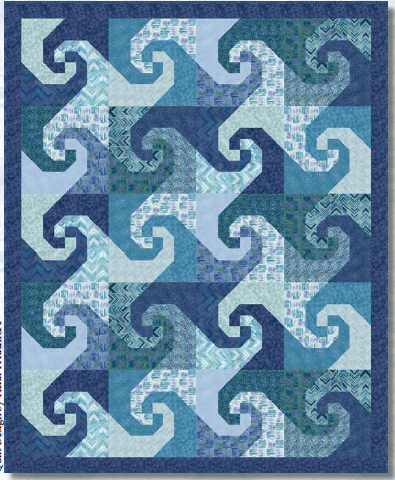 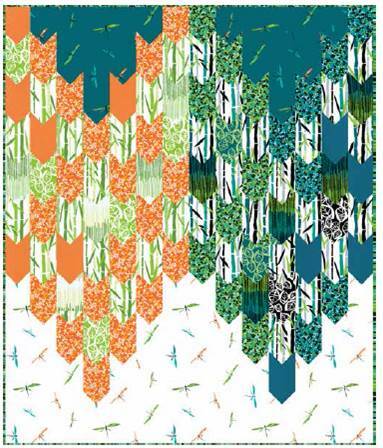 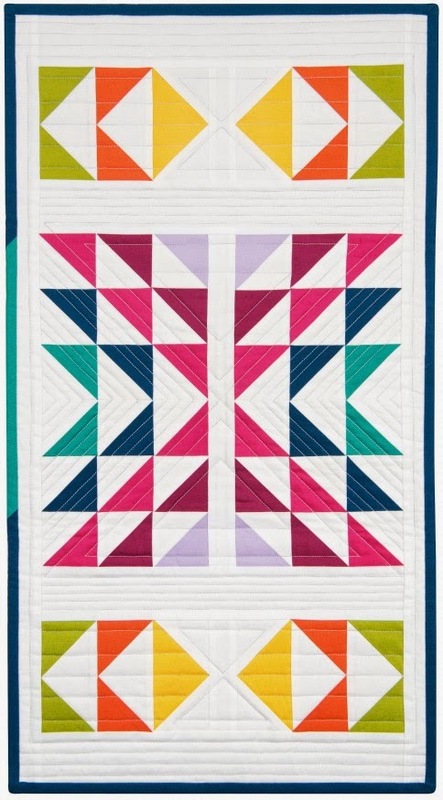 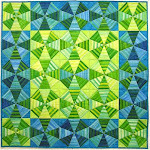 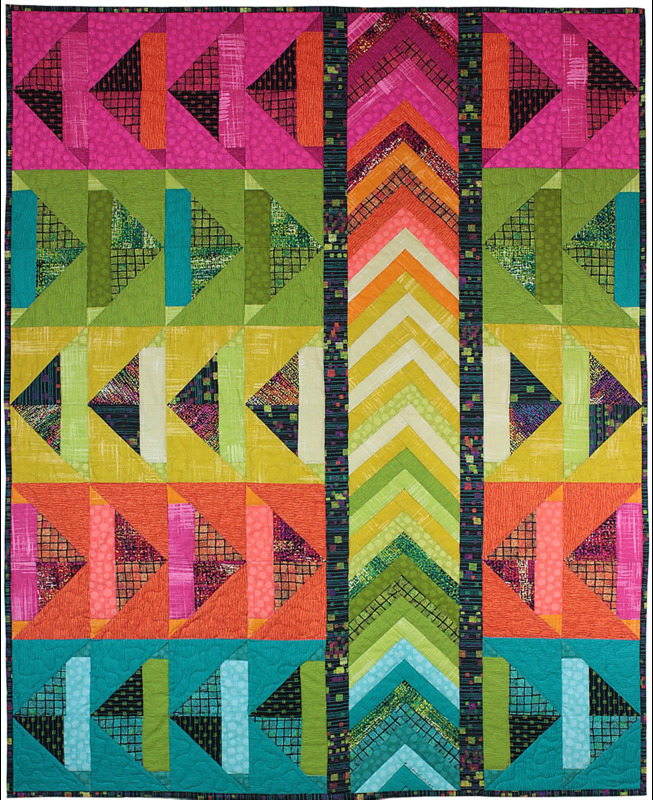 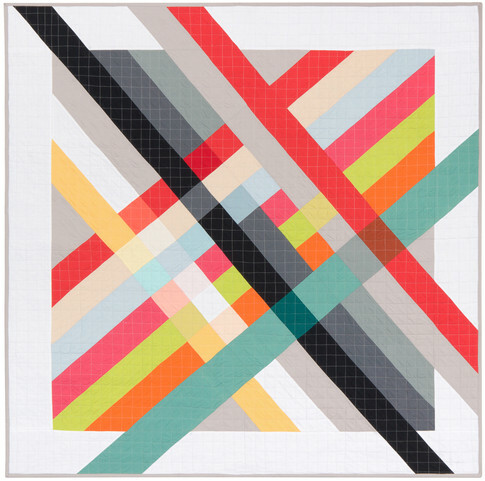 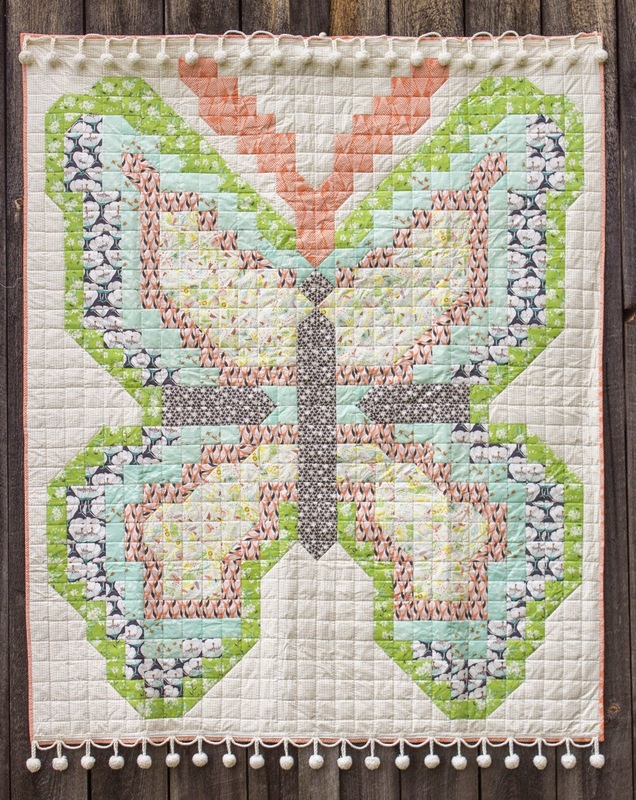 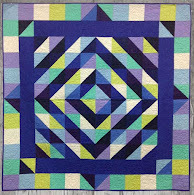 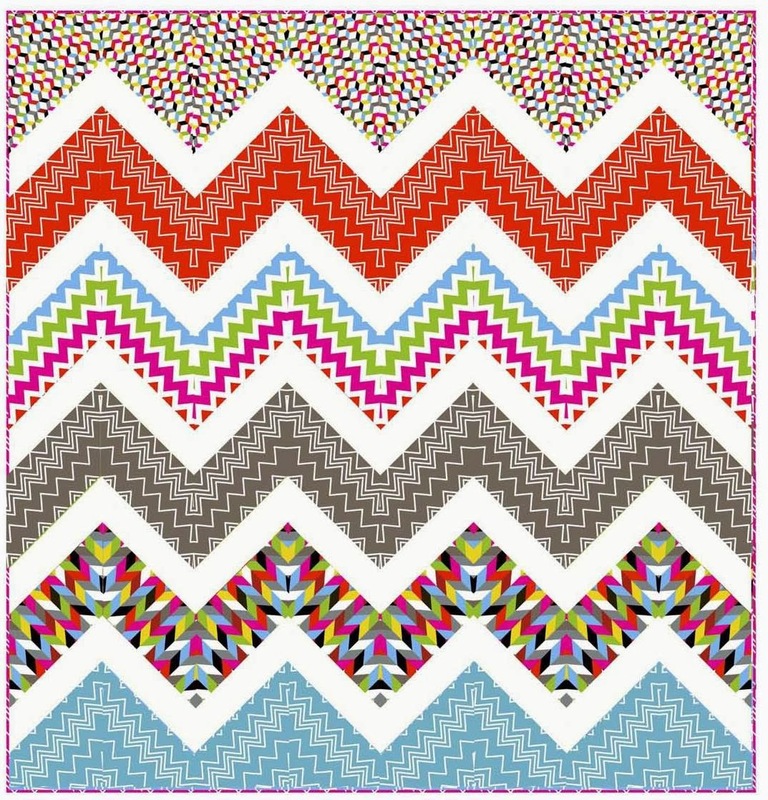 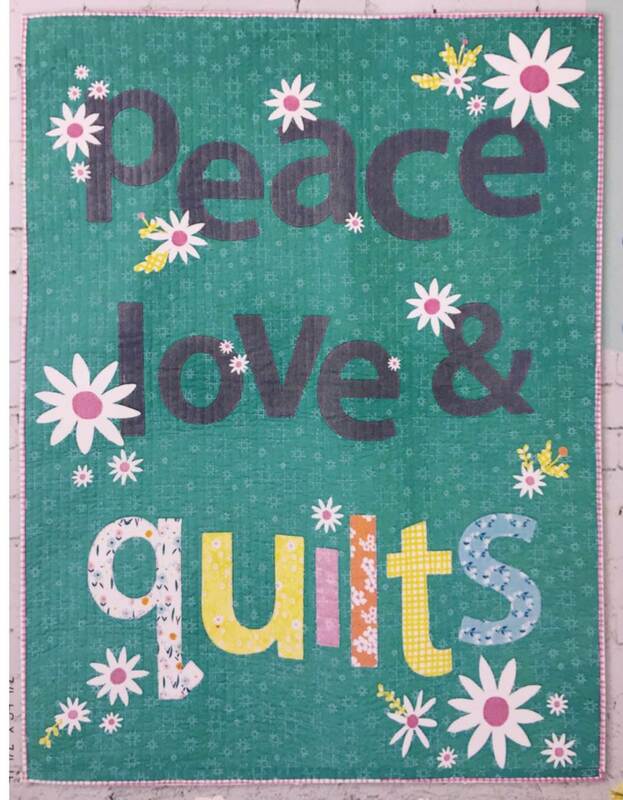 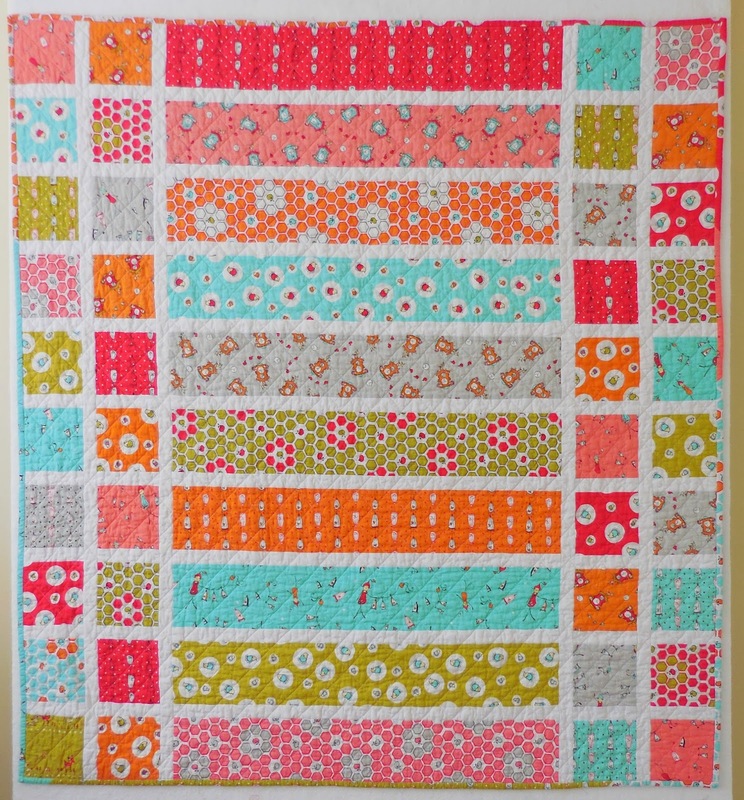 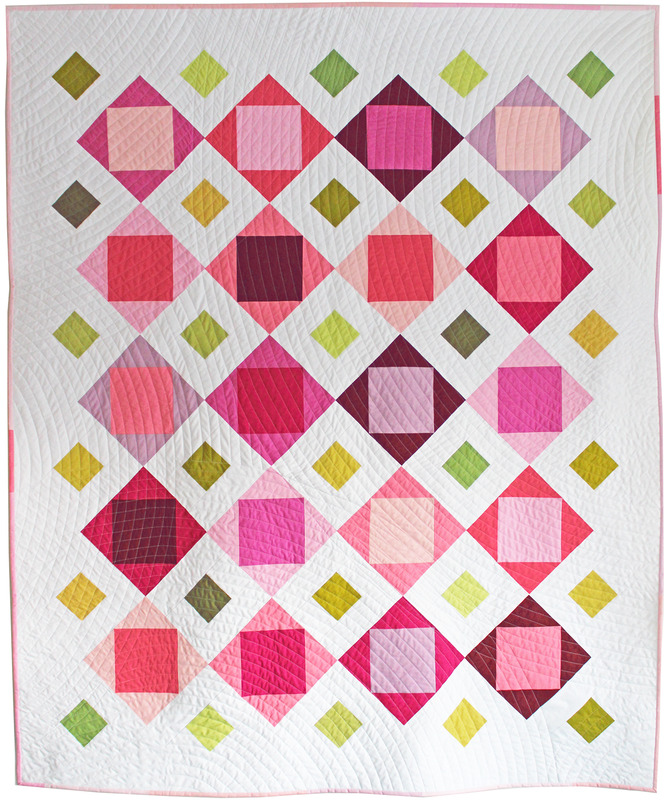 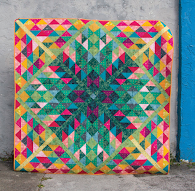 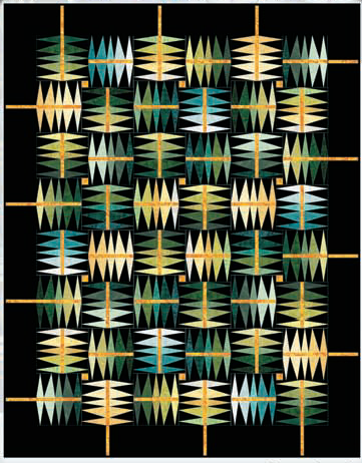 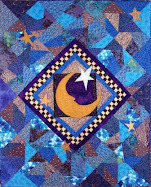 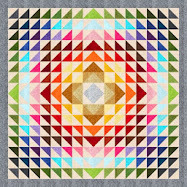 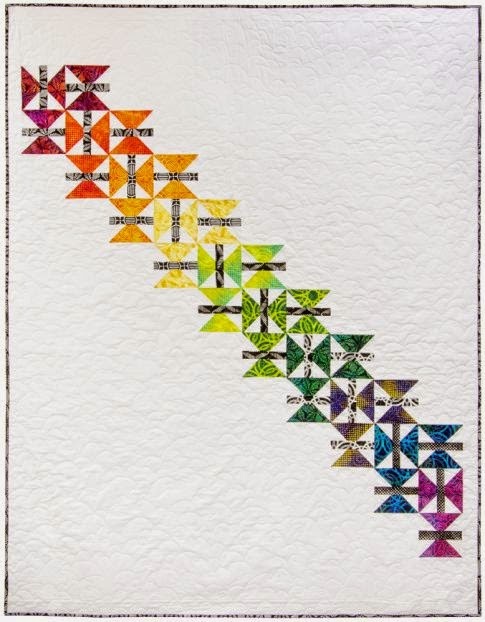 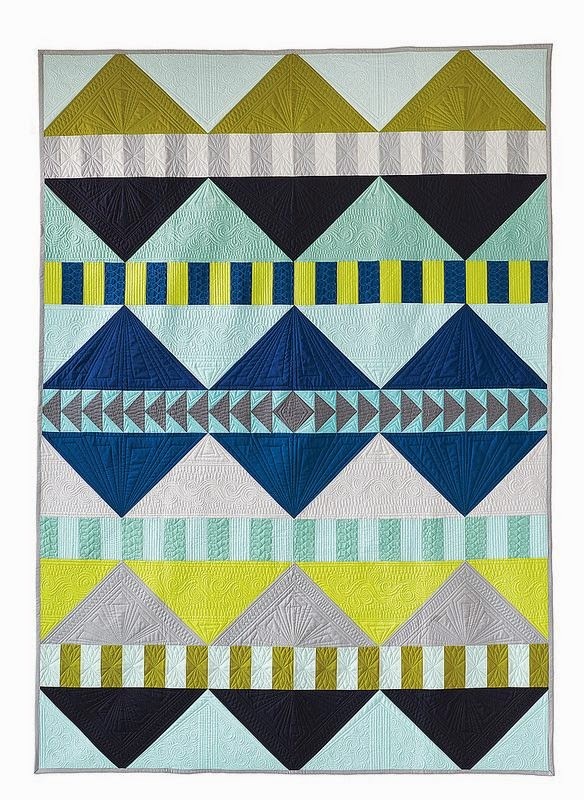 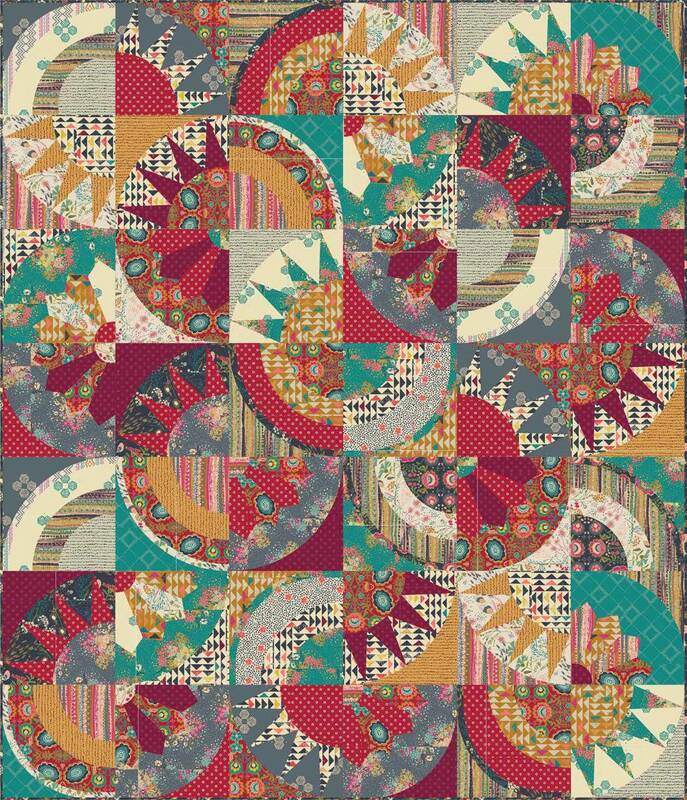 We've shown the detail view; to see the full quilt, visit Martha's site at Q is for Quilter. 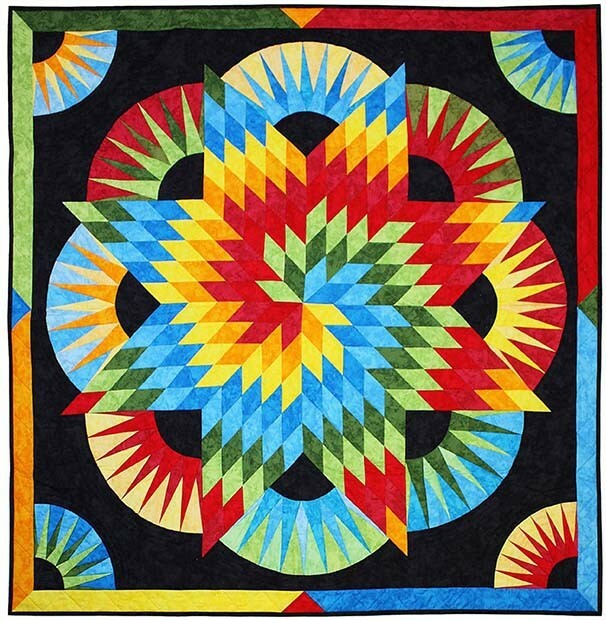 Valerie Page of Page Quilts has created a snowball quilt that brings to mind the clear blue skies, golden sun, and russet leaves of autumn. 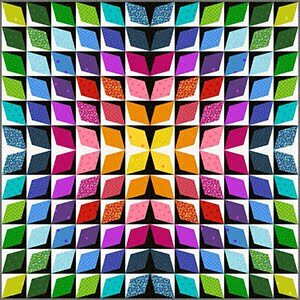 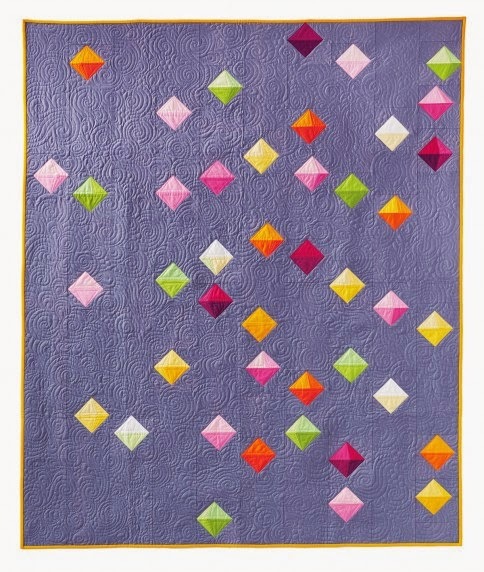 She used the opposing colors of red/orange and periwinkle blue/purple to create a high- contrast pattern, in which each snowball stands out from its neighboring block. 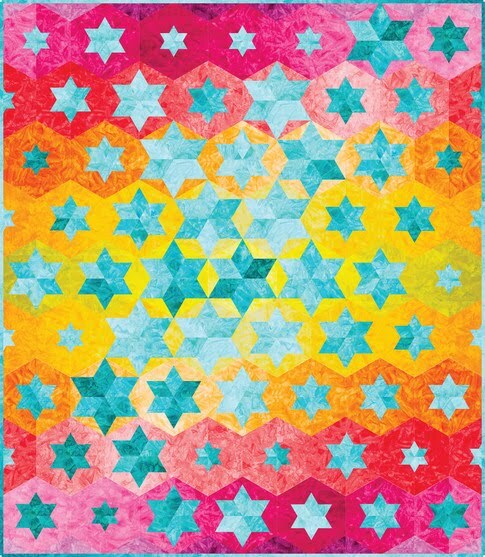 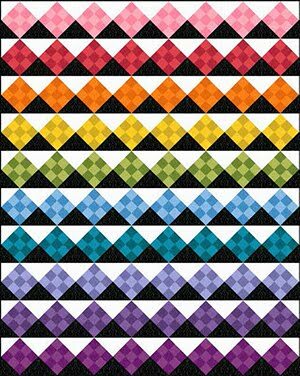 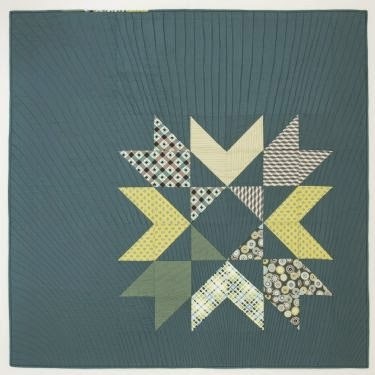 If you look closely, you can see the tiny diamonds that are formed by the juxtaposition of the triangles sewn on all four sides of the blocks. 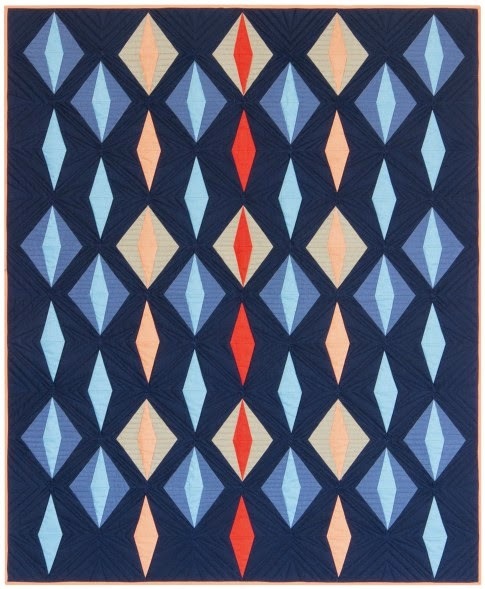 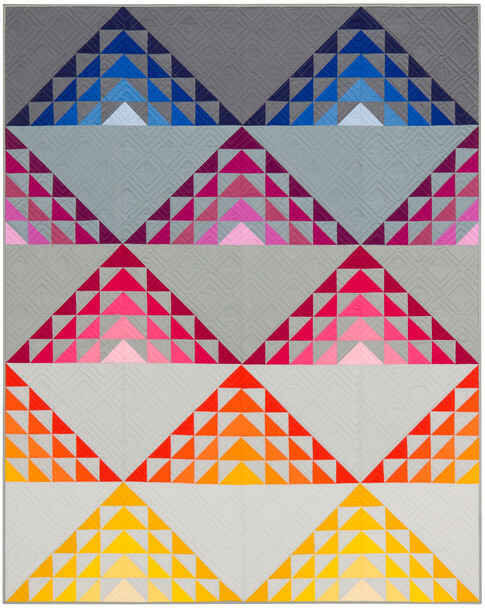 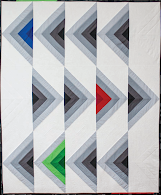 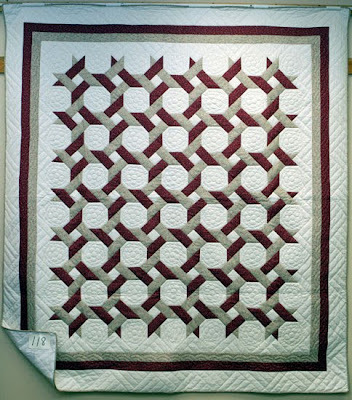 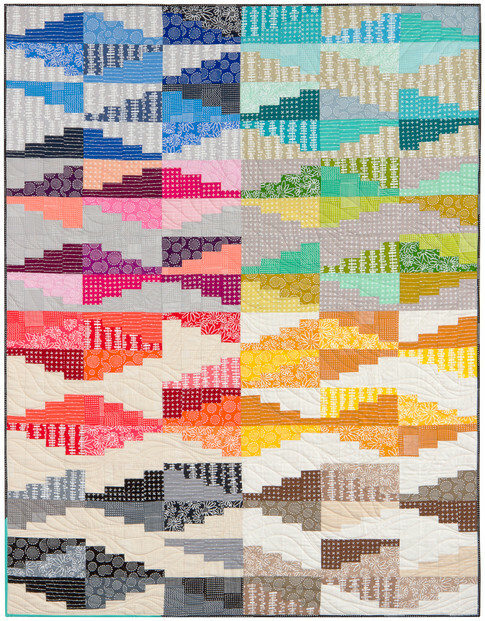 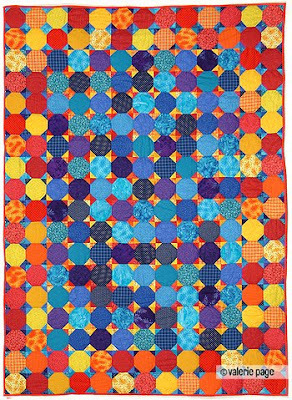 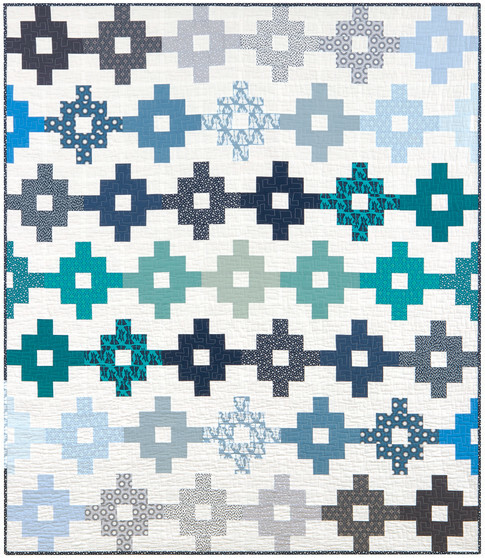 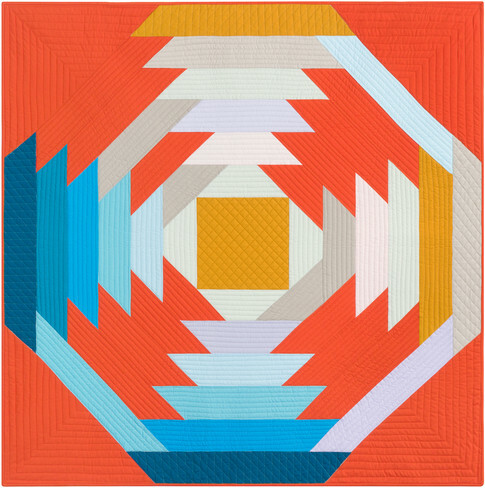 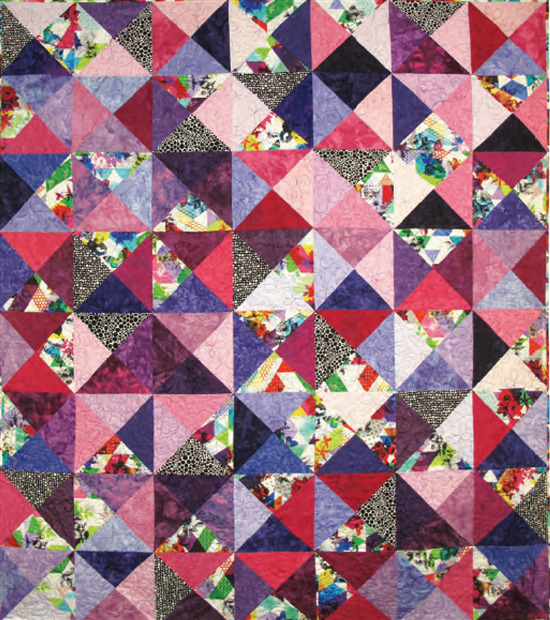 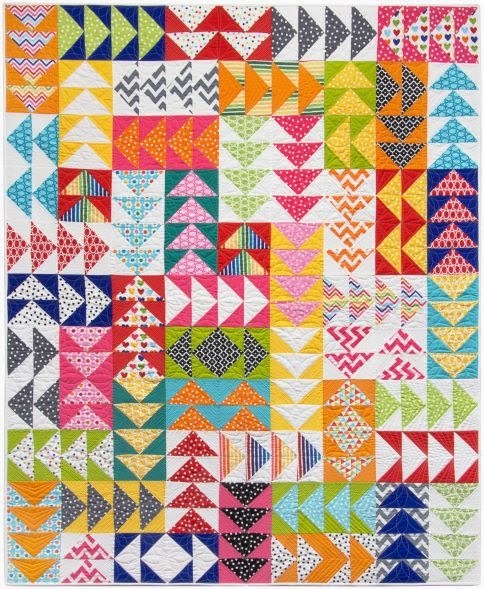 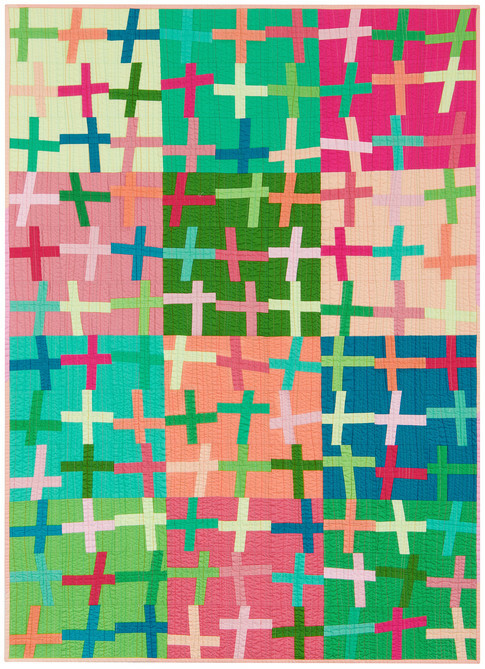 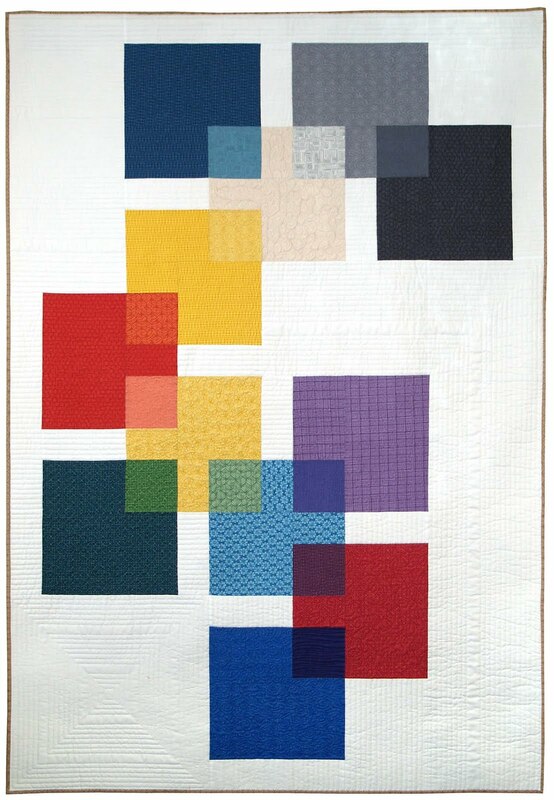 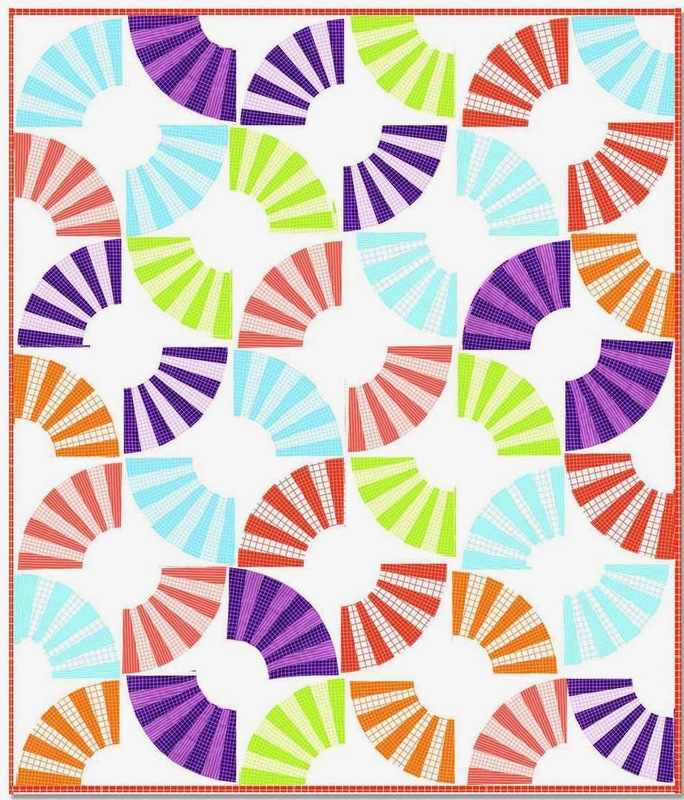 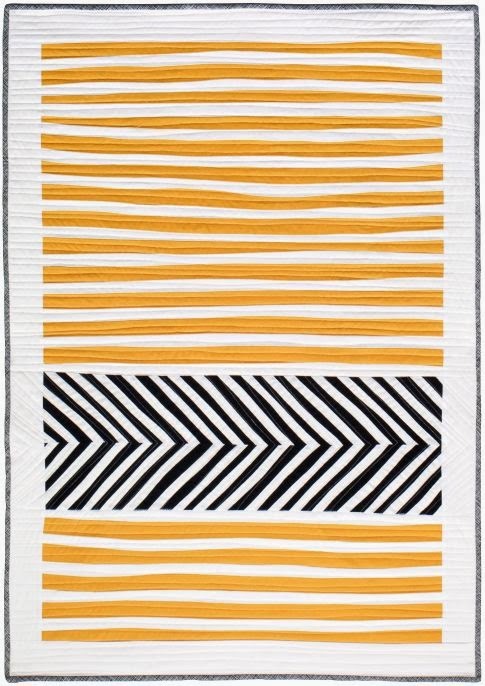 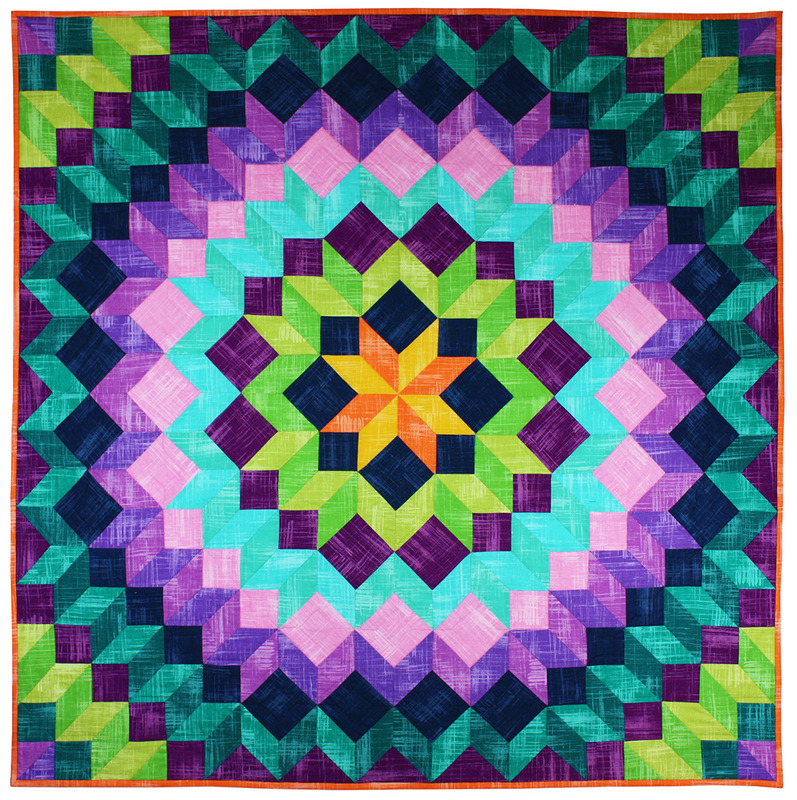 The magnificent snowball quilt called Around the Twist, above, was made by the Amish Church of Hutchinson, Kansas, and was featured at the 2009 Mennonite relief auction. 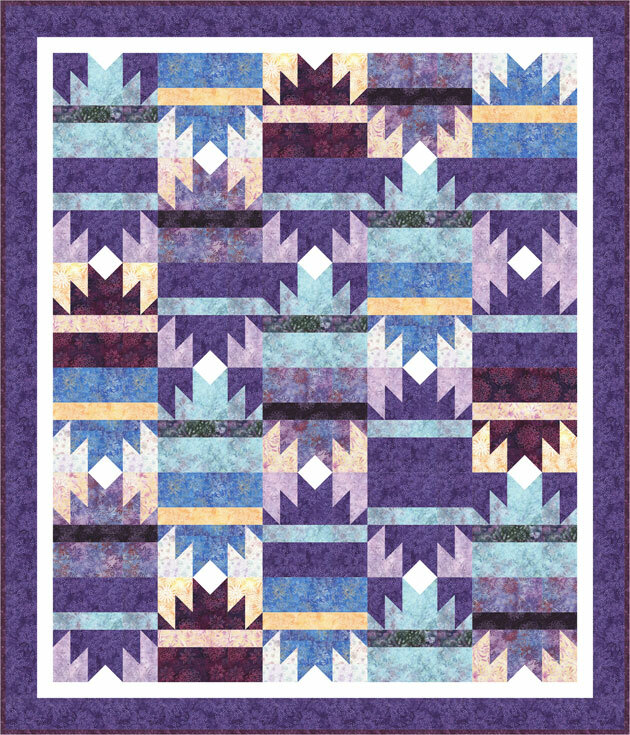 The quilt displays the somber, stately hues of winter, of a world in repose. 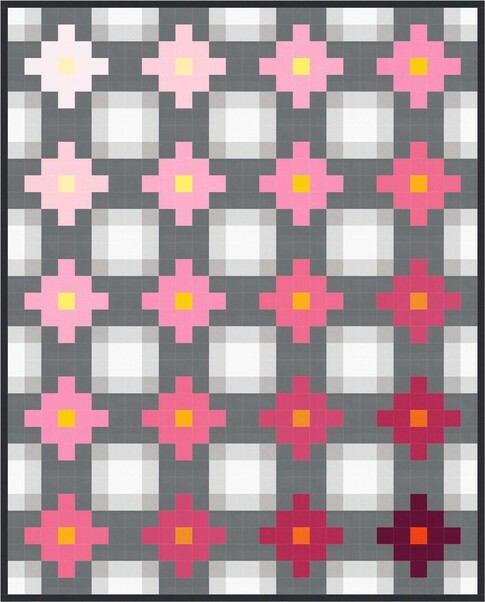 The white snowball blocks and alternating 9-patch blocks are turned on their points, as shown below. 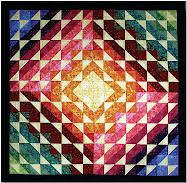 For information on the upcoming 2010 Mennonite auction, visit the MCC site here. 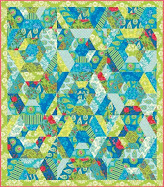 Image credits and links: Geranium fabric (in snowball block), Martha Negley collection, at Westminster Fabrics; Springtime snowball quilt by Janet Wickell, About.com; 9-patch and snowball quilt, Martha Dellasega Gray at Q is for Quilter; Hot & cold snowballs quilt, Valerie Page at Page Quilts; Around the twist, Amish Church of Hutchinson (Hutchinson, KS), courtesy of the Mennonite Central Committee.